Mexican Cuisine is sensational at any time of year, but the dishes served up during special holiday feasts are particularly mouthwatering. The culture has a particular knack for creating the most crave-worthy, savory treats and sweet bites that fans come back for over and over again. 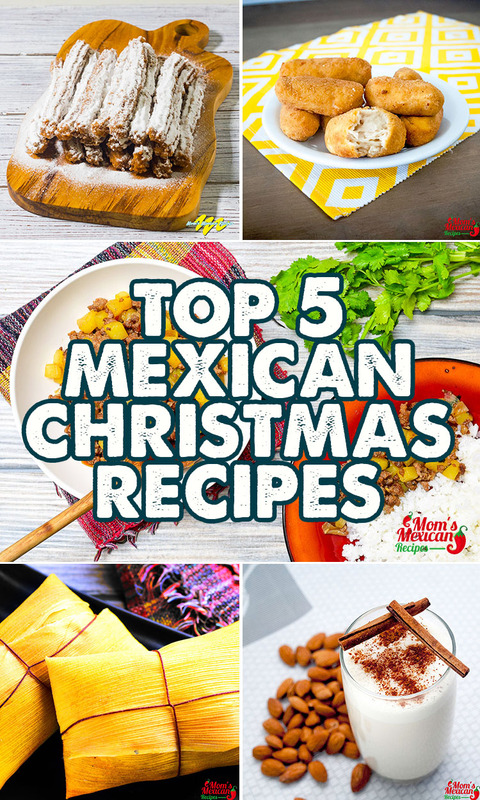 If you’d like to bring some of Mexico’s delicious traditions to your home this holiday season, start with these Top 5 Mexican Christmas Recipes. Fire up the stove and break out your trusty pots and pans: one look at these recipes and you won’t be able to resist trying them out. Just don’t be surprised when word gets around these delicious eats are up for grabs: you might just get some hungry party crashers looking for second helpings! 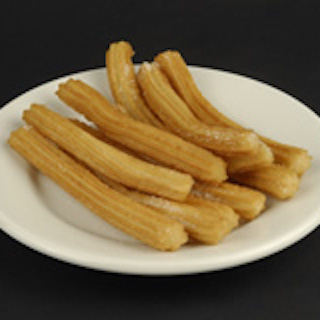 Churros [Churros Recipe] While their name may sound exotic, it actually simply means “fritter” in English. These fried dough tubes are very popular with children, in particular, thanks to a tender, spongy interior and a crisp, cinnamon sugar-coated exterior. American churros are typically served with cinnamon sugar on the outside, but if you’d like them to taste more authentic, leave out the cinnamon and use a piping bag to fill the inside of your churro with Cajeta – Mexican caramel sauce, which is also fairly easy to make. A must for when family members are staying over during the holidays, these can also be made a few hours ahead of time and presented as edible gifts during the season. This Mexican favorite has Cuban roots and consists of a sausage-sized tube of a crispy fried outer shell surrounding a warm, perfectly-spiced puree of meat inside – chicken, in this case. 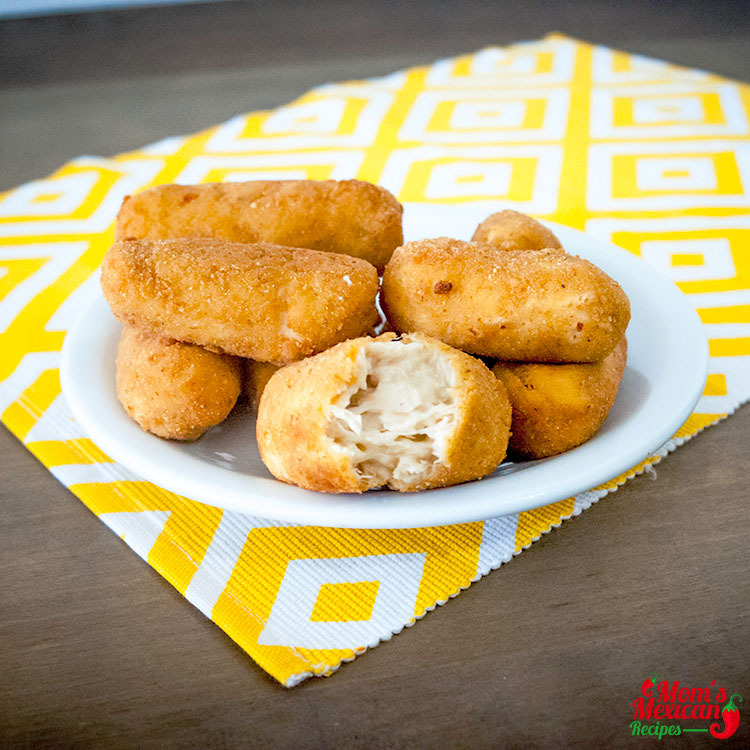 These flavorful snacks are best served hot, cracked open over a generous plate of fresh, fluffy white rice and mixed in every bite – ideal for feeding the whole family on Christmas day. These can be made ahead of time and chilled or frozen until they’re ready to be enjoyed – just don’t forget the airtight zip-top bags first. 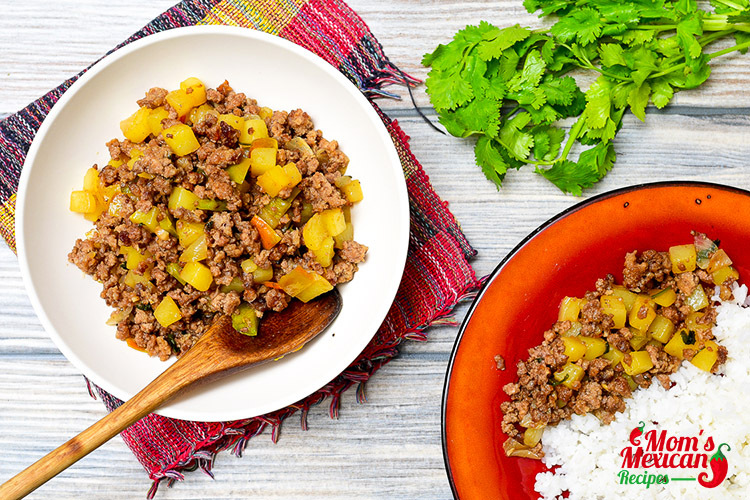 Picadillo [Picadillo Recipe] Warm and spicy, picadillo is an intriguing flavor profile you won’t find anywhere else, thanks to the unexpected addition of raisins in this savory meat dish. Made with a base of ground beef, it’s easy to incorporate picadillo in tacos, burritos, or simply serve it over pasta to experience its full, delicious nuances. It may take a little getting used to, but fans swear by its savory-sweet design: it’s a real culinary eye-opener! You can also experiment a little with this recipe to make it your own – some cooks prefer the taste of dried cranberries over raisins, for example, while others add slivered almonds or pistachios to the mix for added crunch. Tamales [Chicken Tamales Recipe] A must-have for the Mexican food connoisseur, tamales are like a tasty present that you’ll need to unwrap to enjoy. 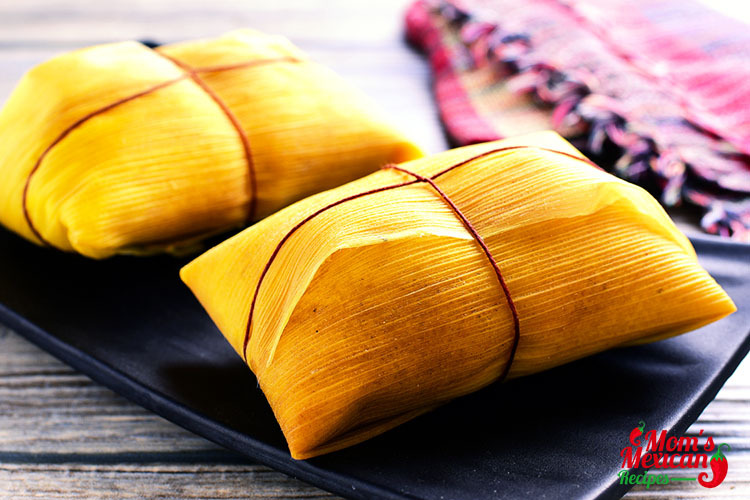 Steamed inside of corn husks, the sweet, creamy, savory filling of a tamale is second to none. Due to the fairly labor-intensive process required to create them, tamales are often presented as a special treat around holidays. Don’t worry, you won’t need an Abuela to make them for you – just click the link to the recipe and get ready to explore what is arguably some of the best food in Mexican culture. Tamale fillings are traditionally made of meat like chicken, pork, or beef, but firm white Mexican cheese has also been used as a tasty meatless substitute. 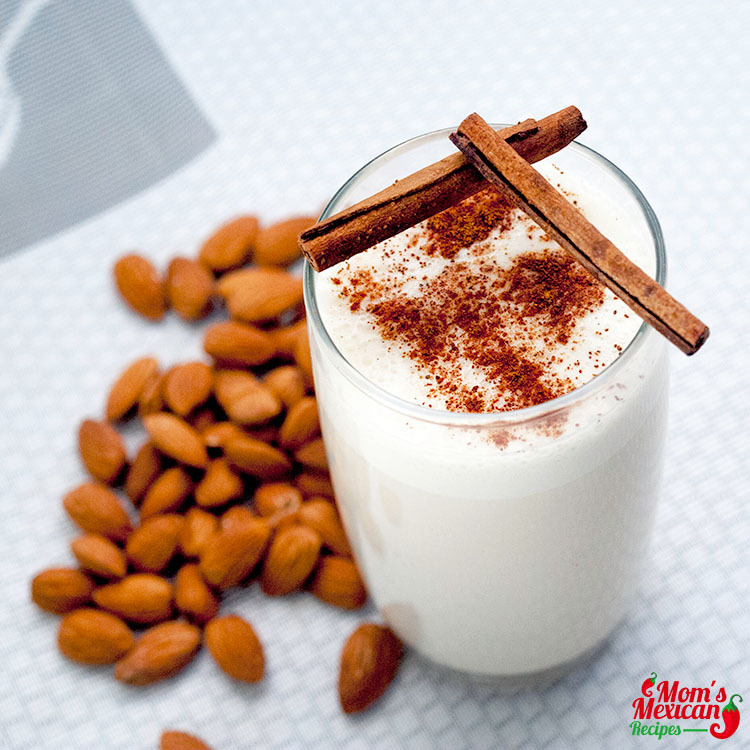 A beverage that almost feels like a meal, horchata is a thick, rich drink made from steeped rice, milk, cinnamon and a few other ingredients. Excellent when served chilled over ice, it retains the earthiness of the rice used to make it while delivering delightful sweetness to its fans, thanks to vanilla and sugar. While some powdered mixes for horchata do exist, nothing beats the taste of a freshly-made glass for yourself. Have a little extra left over? Pour it into popsicle molds, or add heavy cream and pour into an ice cream maker to enjoy your horchata as a delicious dessert. Each of these recipes delivers a taste of the complex flavors of Mexico during the holiday season. Whether you make them with loved ones in a warm kitchen or prepare a few batches to bring to family and friends, each of these dishes is one that’s crave-worthy and ready to elevate your holiday fare. This year, save the turkey for Thanksgiving and give that unwanted fruitcake the boot – there are better options on the proverbial table, and they can’t wait to bring you the perfect tastebud tour of a rich, flavorful culture – one bite at a time. Comment Your Ideas and Suggestions below and visit our Official Facebook Page for more Recipes. What Mexicans have you been talking to?